Expanding on our last post, looking at pitchers’ Opponents' OPS, here is a historical look at Oops leaders of this millennium. In our constant quest to find the best pitching in baseball, this time, only pitchers qualified for the ERA title are included. It'll be interesting to see who finishes the season on top. A pitcher's home ballpark affects his statistics tremendously, especially Slugging Percentage. 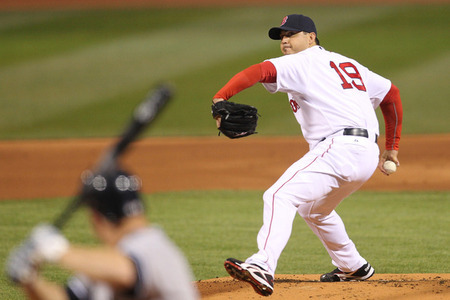 Josh Beckett's .516 OPS allowed is even more impressive when keeping that in mind. In fact, as we'll see with the following, the lowest OPS allowed in the last 10 years was Roger Clemens in 2004. With pitching injuries the way they've been recently, it seems like young flame throwers have two chances at success. In their early 20's, they can blow everyone away and have a few good years before they get injured. Then, they can bounce back from injury and succeed as renaissance pitchers. Very few guys are going the route of staying relatively healthy for 15 years and retiring. Latos is already fighting through shoulder issues. If Felix keeps it going, he still may one day end up like Jason Schmidt or Johan Santana in his mid 30's. With all due respect to those other cats in Philadelphia, I think Doc Halladay, Justin Verlander and these two guys are the best in the business. 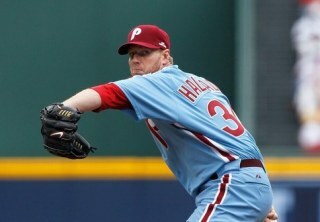 Halladay is pretty much a walking, talking Hall of Famer. He's over 60 WAR for his career, and his postseason success last season was tailor made for Cooperstown. Lincecum, while extremely young, doesn't need to get any better. He simply needs to keep doing what he's doing to get his own plaque. Both of these guys have really struggled with injuries after their career years in 2007. Bedard has a better chance at getting near his past levels of success, being left-handed and throwing with much more velocity. Chris Young excels with his control and change of speeds, but he suffers when throwing not much more than a batting practice fastball. His average fastball has been 84.7 mph the past 2 seasons, while Bedard sits 90-91 with his 4-seamer and cutter, mixing in a 77-78 hammer and change-up. achieve to get to the H.o.F? 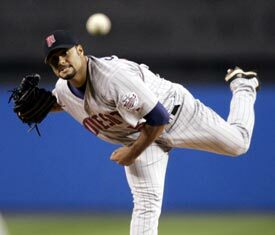 Many GM's were afraid of injury whispers around Johan Santana during his last year, or so, with the Twins. The Mets didn't shy away, and while they still got some very good mileage of of him, he's currently paying the toll for the pitches he thrown the last seven seasons. Roger Clemens is a cheater and a liar. He's a horrible example for the youth of Texas and an embarrassment to the National pastime. It's good knowing that he's never going to play again. Randy Johnson will probably have one of the ugliest plaques in Cooperstown. 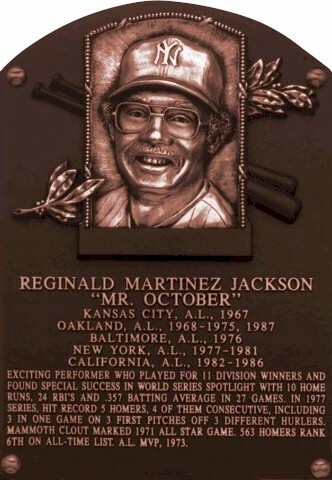 If not, Reggie Jackson should sue the museum curators because his looks ridiculous, and he's not nearly that ugly. It would be nice to see him in as an Expo or Mariner, but something tells me he could be the first ever Diamondback representative. 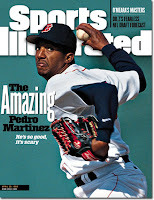 Pedro is making history, with his epic success year after year. In 2003, Jason Schmidt lead the National League in Winning Percentage, ERA, and ERA+, but he finished 2nd in the Cy Young Award race to 'roided up Eric Gagne. Where have you gone, Odalis Perez? The most surprising leader in this examination is Odalis Amadol Perez. What an enigmatic career he had. 2002 was the only year he made the All-Star team, and 2004 was the only other season he had an above average ERA+. 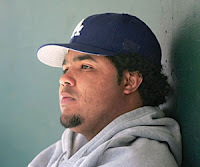 Odalis injured his arm, along the way, and was never the same, retiring after his Age 30 season in 2008. Freddy Garcia was a fan favorite in Seattle. This gave us a statistical reason why. 2001, of course, was also the year Big Unit and Curt Schilling won a World Series in front of their home fans, arguably consisting of thousands of former Cub fan transplants. 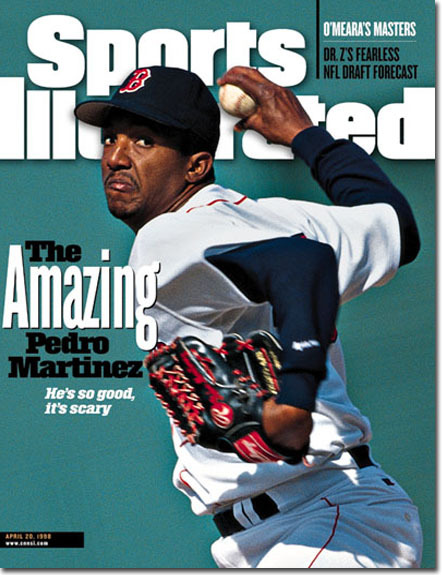 Pedro Martinez's 2000 season is arguably the most dominant pitching performance of any season in any era. The numbers speak for themselves, plus remember he's in an extreme hitters' park most of the time, and pitching at the peak of the Steroid Era. Just as Maddux's numbers shine incredibly brightly, they are blinding when viewed through Selig's steroid prism. Joe Posnanski's post that got this whole conversation started listed Pedro's 2000 season as the best season ever by any 28-year old. With the spirit of the Hall of Fame in the air, on this Induction Day, I'm anticipating Pedro's approaching Cooperstown celebration.